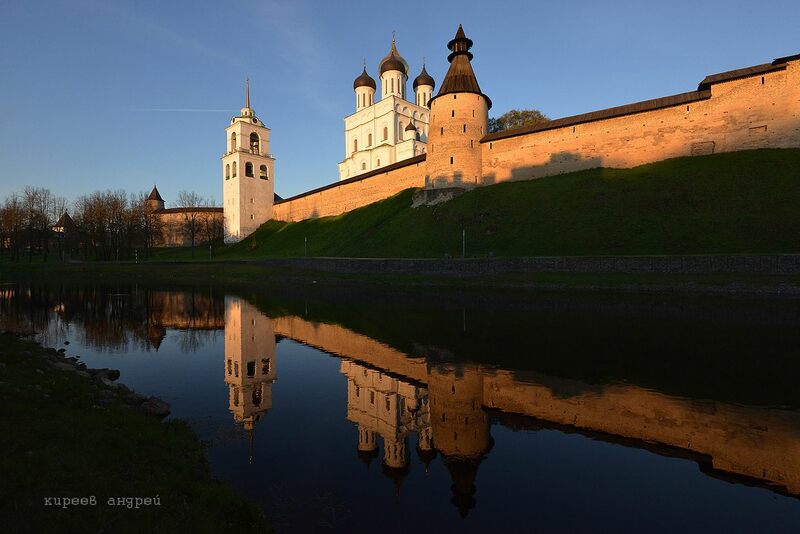 Pskov is a city located in north-west Russia, the capital of the Pskov region. 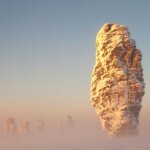 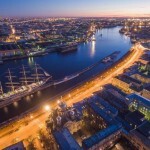 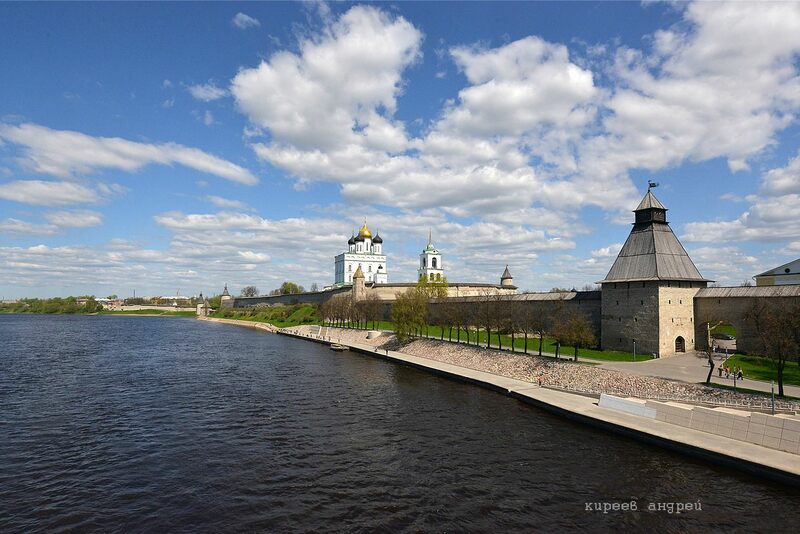 It is one of the oldest cities in Russia, which was first mentioned in the Laurentian Chronicle in 903. In 1348-1510, this town was the capital of the independent Pskov Republic. 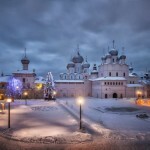 In 1510, it was annexed to the Grand Duchy of Moscow. 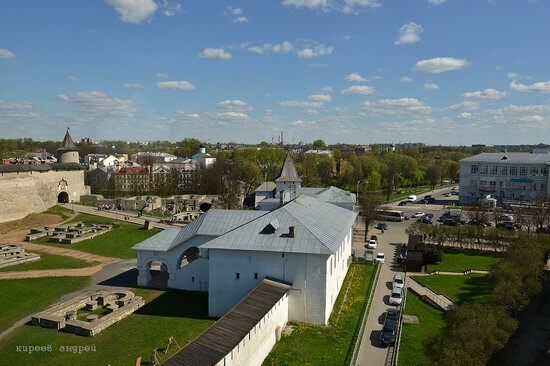 Prior to the beginning of the 18th century, Pskov was one of the largest cities of Russia and Europe, the most important defensive and commercial center of the country. 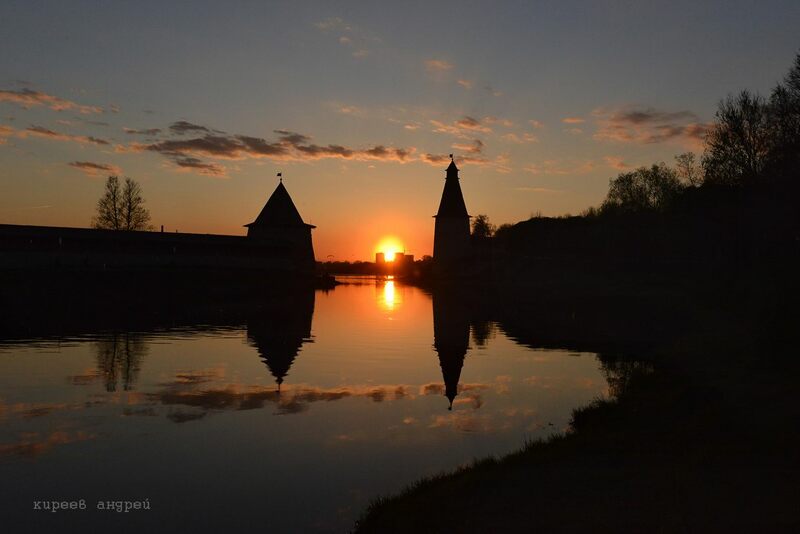 Photos by: Andrei Kireev. 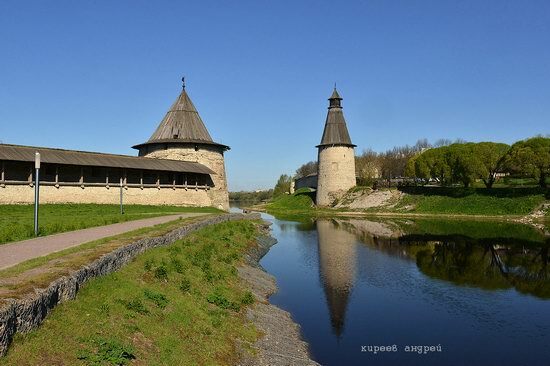 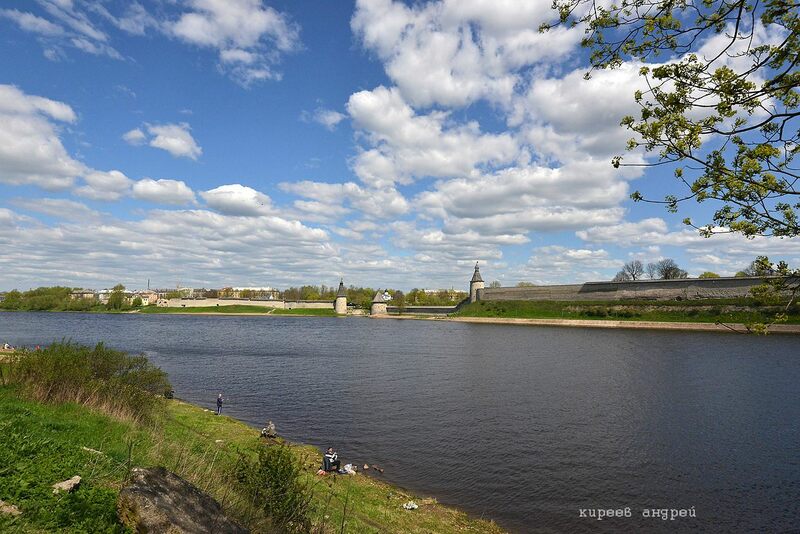 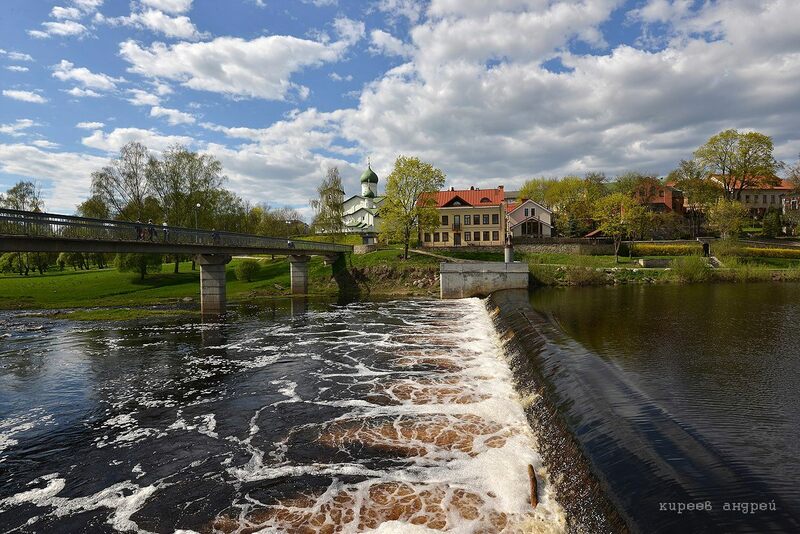 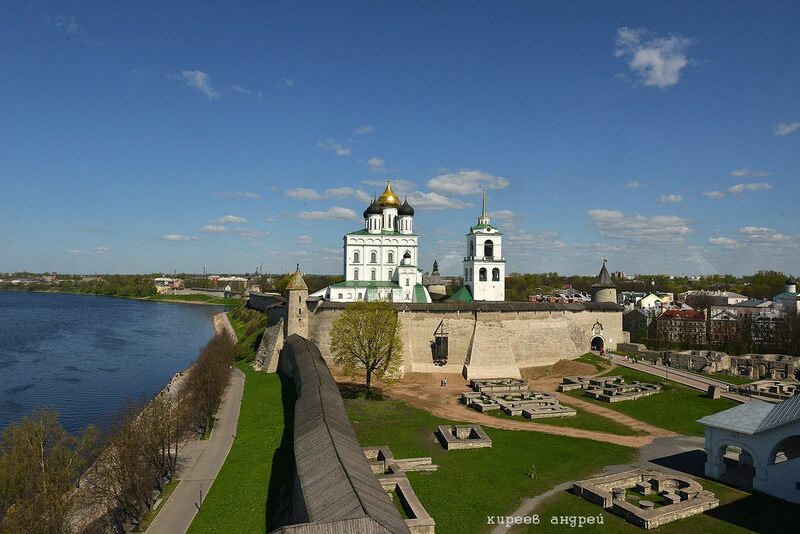 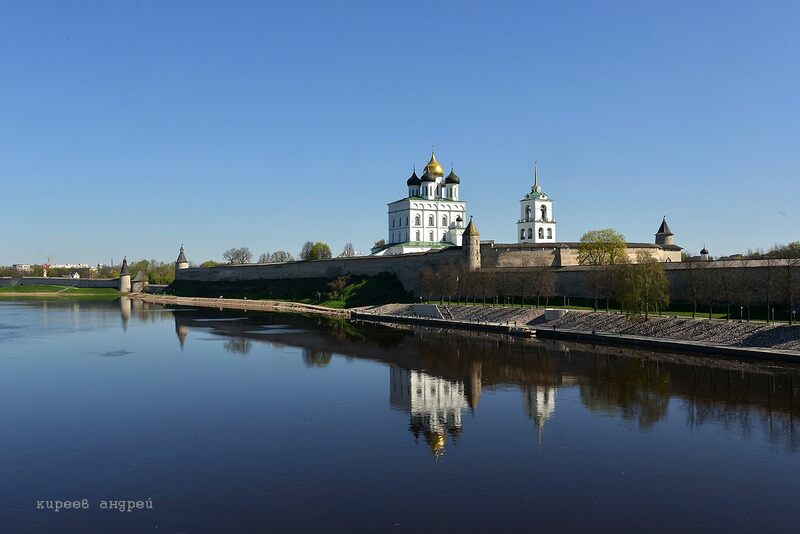 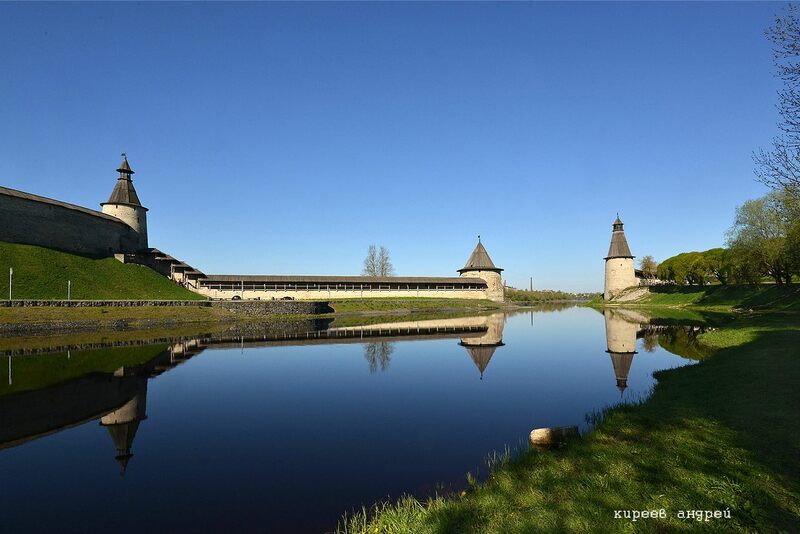 The Pskova River and the walls of the Pskov Kremlin. 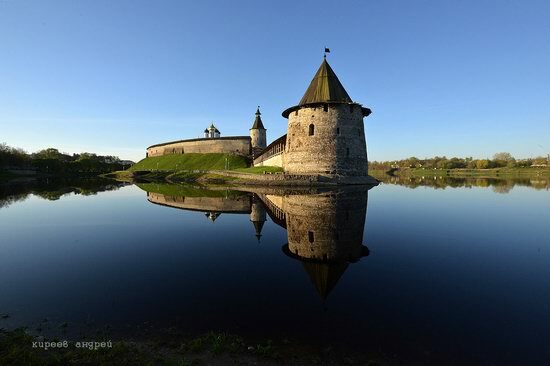 Pskov fortress consisted of five fortified rings (three of which are preserved to this day) that made it virtually impregnable. 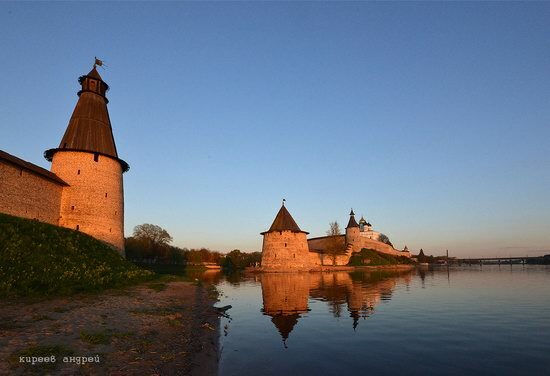 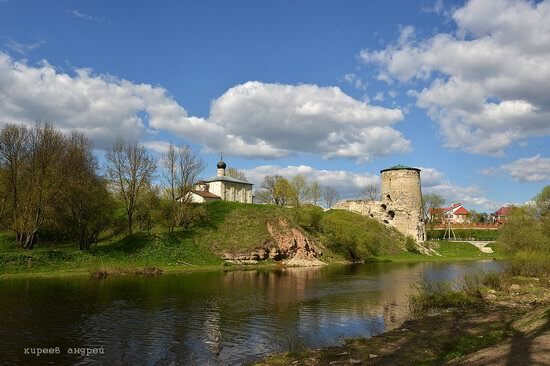 Throughout its long history Pskov was at the center of fighting many times. The confluence of the rivers Pskova and Velikaya. 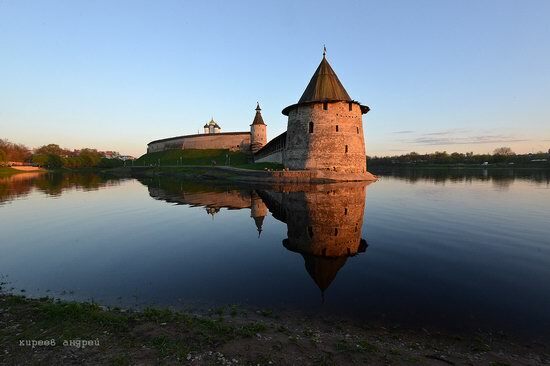 After the founding of St. Petersburg, Pskov lost its dominant position on the western borders of the country. 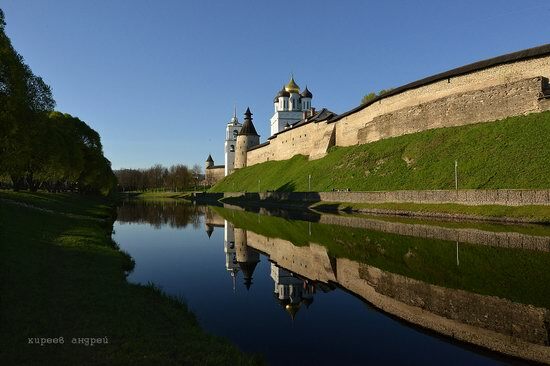 After the Northern War, when borders of the Russian Empire moved far to the west, the importance of Pskov as a trading and defensive center fell even more. Today, Pskov is an important tourist center of the Pskov region and north-west Russia. 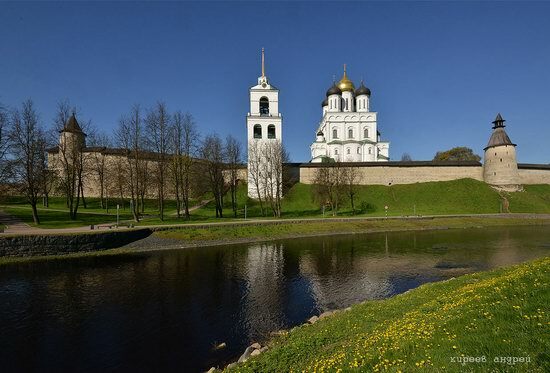 Trinity Cathedral, Pskov Fortress, Mirozhsky Monastery, Pogankiny Chambers, a number of ancient churches of Pskov are included in the list of Russia’s cultural heritage. 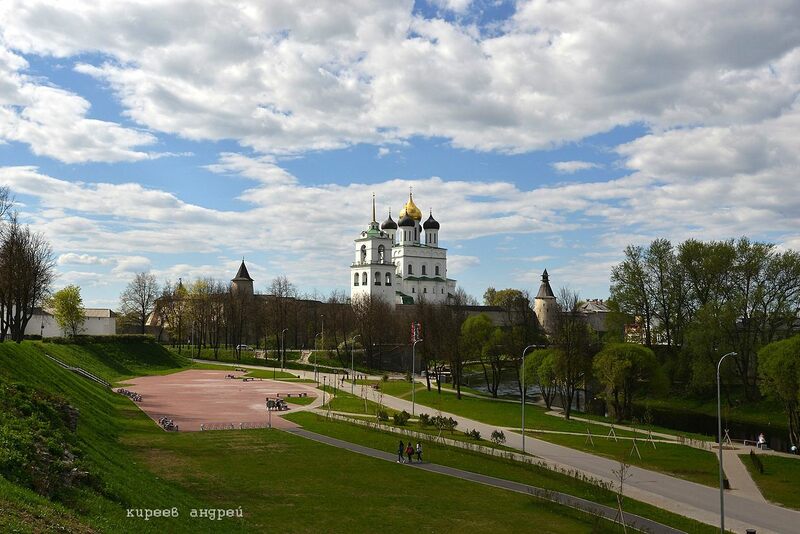 The towers of the Pskov Kremlin. 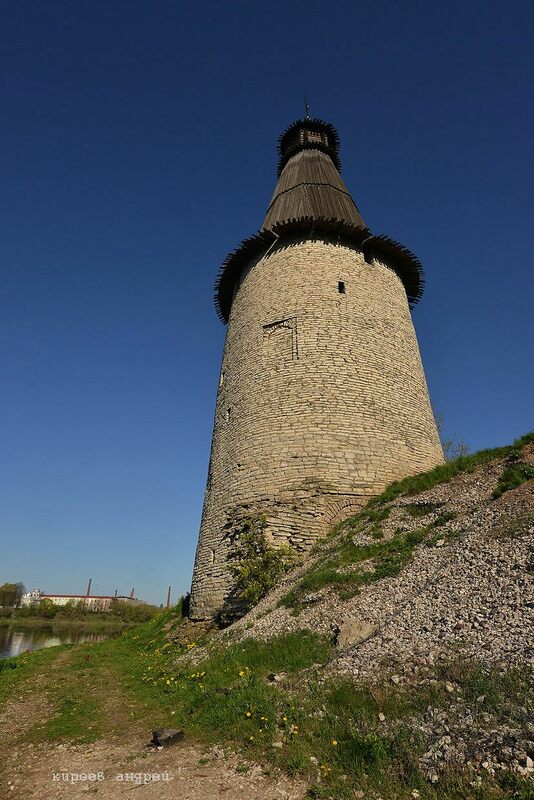 Vlasievskaya tower. 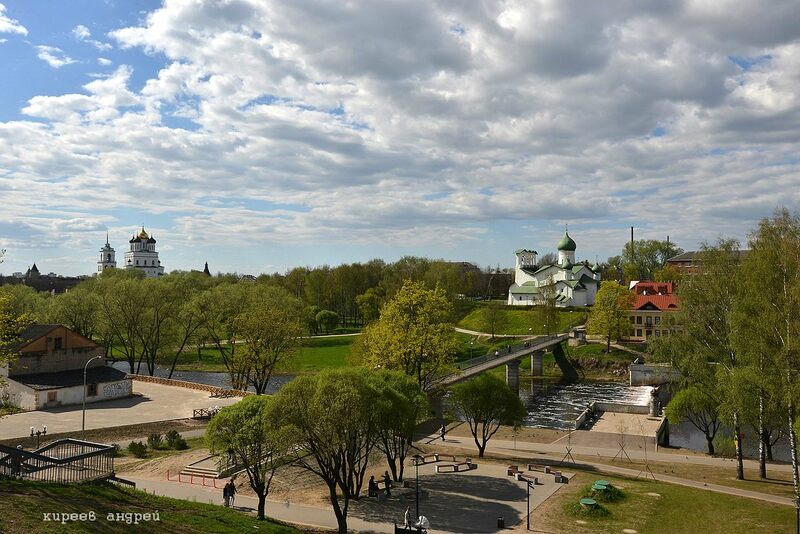 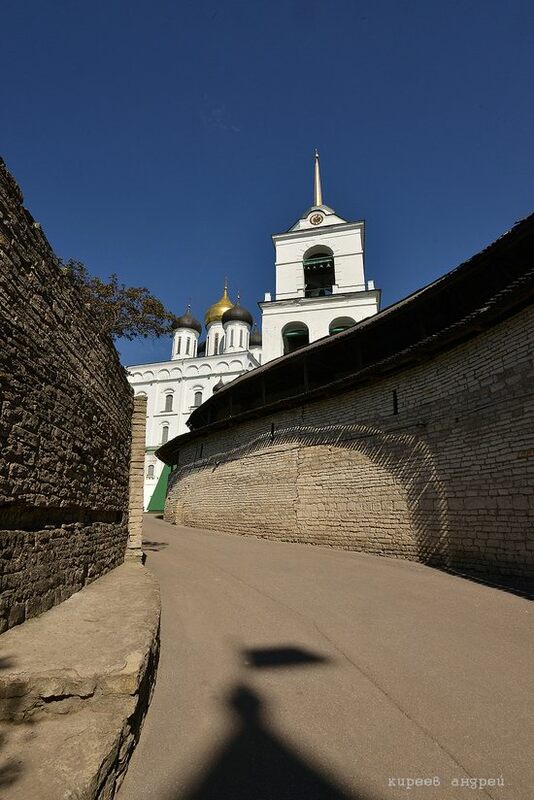 You can climb to the top of the tower and see the panorama of the Pskov Kremlin and its surroundings. 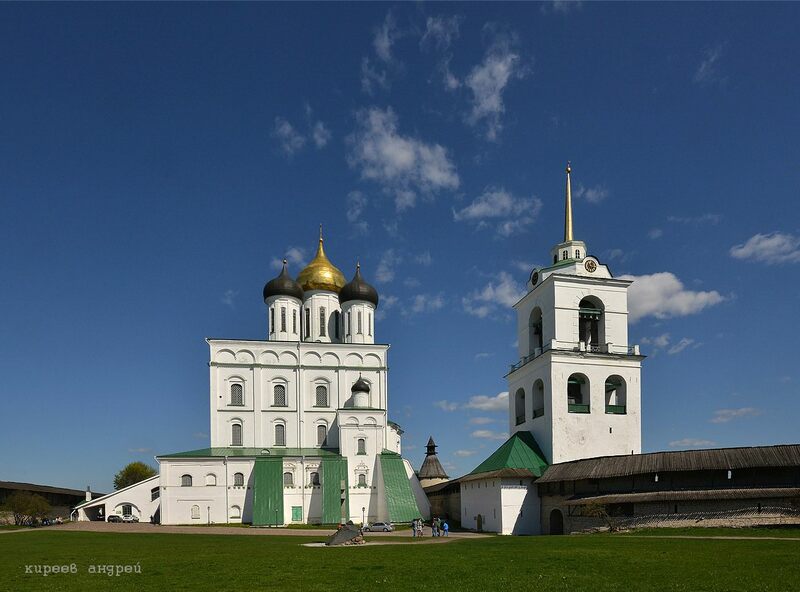 Trinity Cathedral and bell tower. 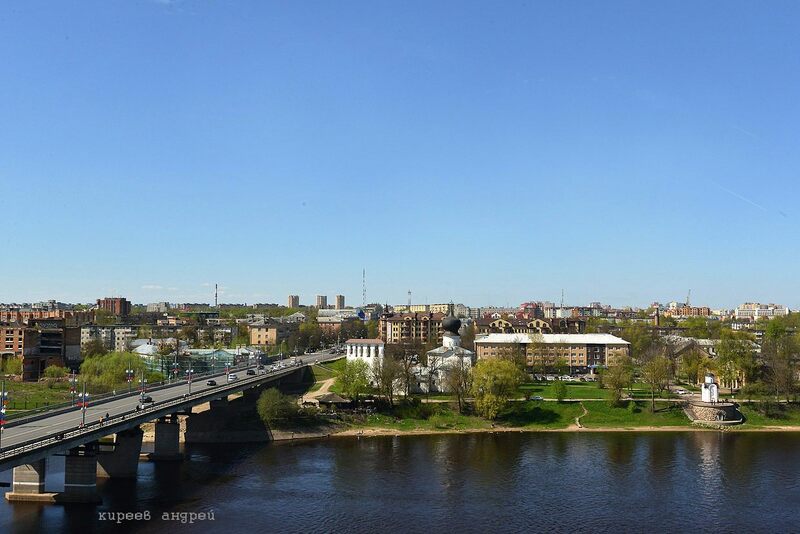 Olginsky bridge and the Velikaya River. On the opposite side you can see Church of the Assumption of Our Lady. 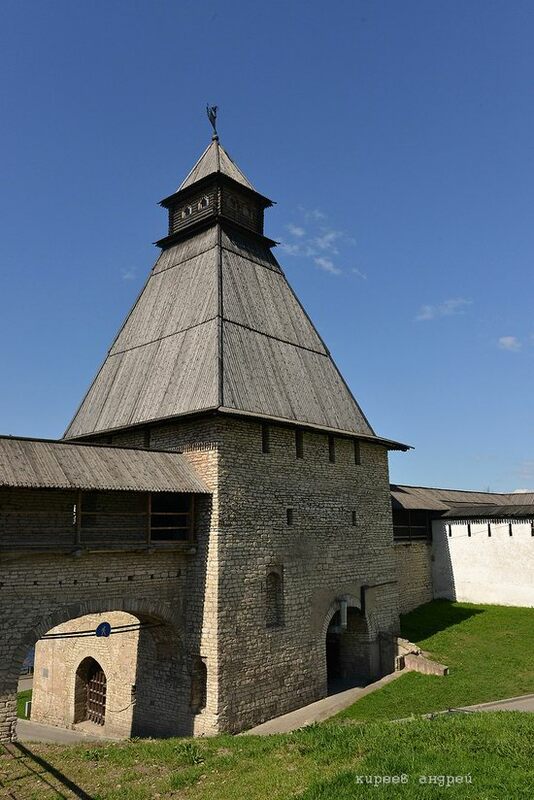 The heavily fortified entrance to the Pskov Kremlin. Church of Cosmas and Dimian. 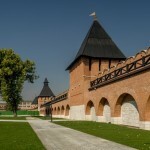 Gremyachaya tower. 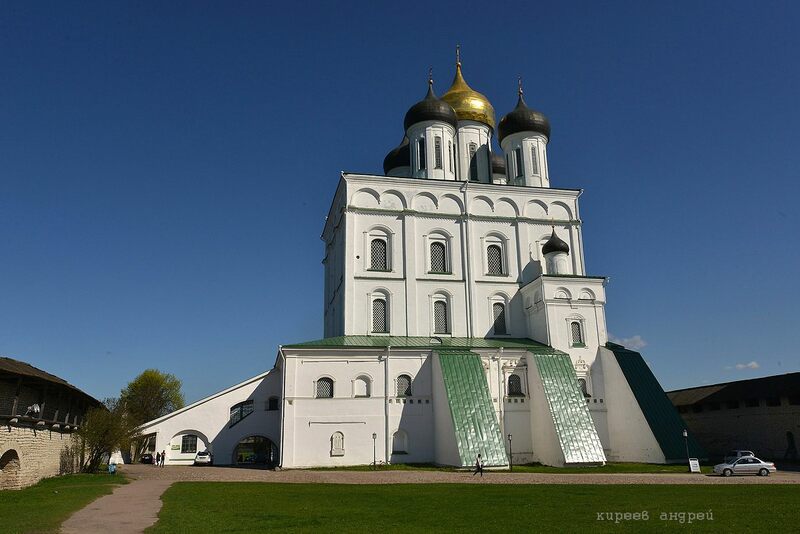 Church of the Epiphany from Zapskove. The Pskov Kremlin at sunset.